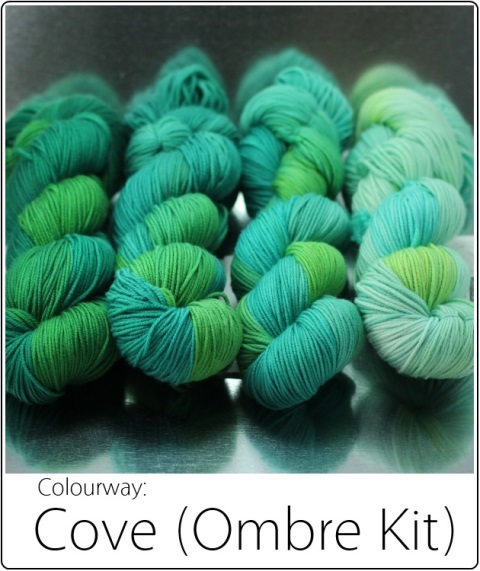 I hand-dye yarn for knitters and crocheters. I truly believe that the world would be a better, calmer, nicer place if more people knit and crocheted. 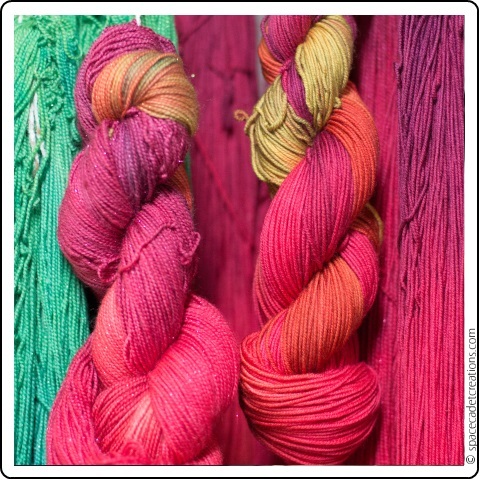 My goal is to help make that happen by creating beautiful, vibrant yarn for people to work with. My love of the fiber arts has been life-long: my first spinning lesson was when I was 11 (it didn’t stick) and one morning, when I was 19, I woke up and decided I needed to learn to knit — right there, right then. 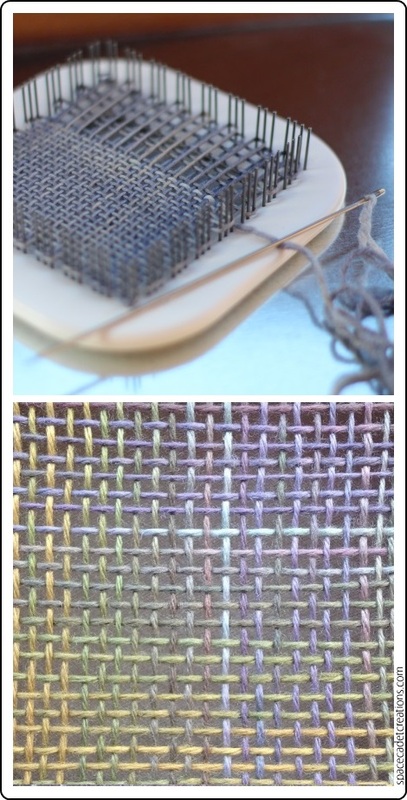 I stumbled into a degree in Textiles and Clothing, and learned to weave along the way. And I enjoyed all those things, but it wasn’t until I began dyeing that I really felt I’d found my calling. 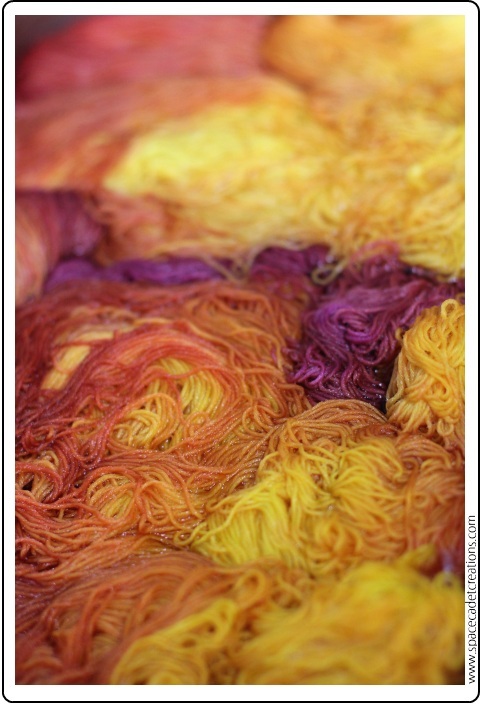 Working with fiber and colour in such an immediate and intimate way really stirs something inside me — once I started dyeing, I never looked back! One of the best things about being a dyer is knowing that what I am creating is straight into the hands of a knitter or a crocheter — a real person, often someone I know personally — who is going to love it and cherish it and use it to create something beautiful. I’m not just dyeing yarn, I’m dyeing yarn for someone. Having that connection is wonderful to me. I see colours in my head constantly. A piece of music, the sound of windchimes, the smell of falling leaves in the air — all of it produces colour before my eyes. If I can hold onto the vision of those colours long enough, I can capture them in yarn. Sometimes the memory of the colours slips away before I get the chance and it’s almost impossible to bring back once it’s gone. How I wish my brain had a Save button! I’m kind of secretly in love with Aurora. It has 20% cashmere and it’s just so incredibly soft. Even now, when it’s hanging in the studio, I find myself reaching out to touch it every time I walk by. And it’s not something I can really express to people on a website, you just have to touch it. That’s part of why I like doing shows so much — seeing people meet the yarns in person, watching their faces light up. It’s a completely different experience to buying yarn online. What, you mean besides the fact that yarn is slowly beginning to take over my entire house?!? Yeah, being a dyer impacts everything — the way I look at the world, the visuals I try to capture and hold onto, even the way I relate to people. If I sit down to talk with somebody, it kind of feels weird if we’re both not knitting too. Do you know, it still blows me away when I realise there are people out for whom knitting and crocheting are somehow old fashioned?!? Having yarn in my hands is just so natural to me, I don’t really get how it can not be as natural for everyone else too! We moved here from Britain five years ago and, at that time, so much of the fiber arts community existed in isolation. Knitters didn’t really know each other that much, and lots of people knit in isolation — and struggled with new techniques or pattern errata with no one to ask for help or support. That’s changed so much in the last five years — the whole community is connected now. We know each other, we support each other. Knitting and crochet used to be more of a ‘me’ thing, and now it’s a really an ‘us’ thing. Just look at Knit the Bridge… would that have been half as successful five years ago? No way. And could I, as a dyer, been able to have such a real and satisfying connection with my customers five years ago, the way I do now? No, the whole thing has changed completely, and it’s a really wonderful thing.